Home » birthday , celebration , elvis presley » Happy 75th Birthday to Elvis Presley! 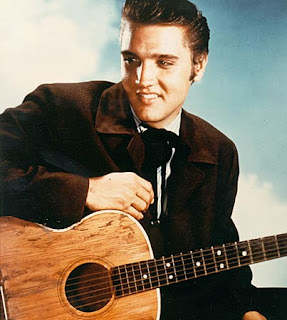 Happy 75th Birthday to Elvis Presley! Seventy-five years ago today, Elvis Presley was born in a tiny house in Tupelo, Mississippi. I've been a big fan of Elvis ever since I was a little kid in the 1970s. I pretty much grew up watching his movies on tv every weekend. And his music is just wonderful. I pretty much cant stand anything they put out today.